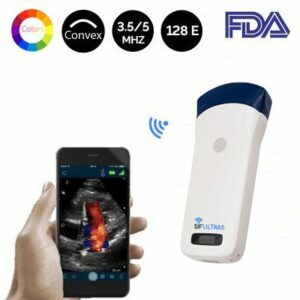 As small as an iPhone, WiFi-Bluetooth Color Ultrasound Scanner Convex 2-5 MHz 64 Elements, SIFULTRAS-2.0 packs stunning technologies and innovations to offer convenient imaging whenever and wherever needed. 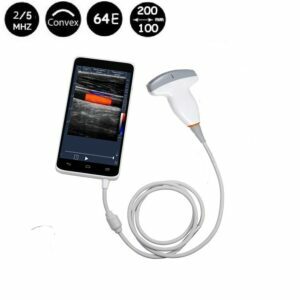 SIFULTRAS-2.0 can be widely used in medical applications like hospital clinical treatment, emergency medicine, primary care, obstetrics and gynecology, guided procedures for injections, aspirations, vascular access, and line placement, as well as remote medicine. 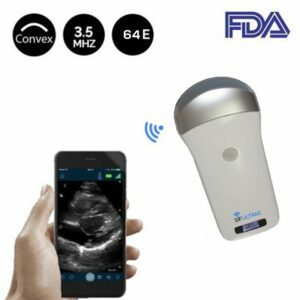 WiFi-Bluetooth Color Ultrasound Scanner Convex 2-5 MHz 64 Elements, SIFULTRAS-2.0 fills in gaps of lack of ultrasound image equipment for basic medical institutions. And it plays more and more important roles for improving point-of-care, clinical diagnostic methods and efficiency of clinic diagnosis, due to its innovation features like WiFi-Bluetooth connection (3G/4G/WiFi), full touch screen and easy-to-use interface for non-radiologist usage, online and offline on-device technical training as well as remote cloud support for reading ultrasound image and guidance for operation. Pocket size medical smart ultrasound scanner with high speed cellular and Wifi data communication capability. Clear and rapid imaging for intervention guidance. 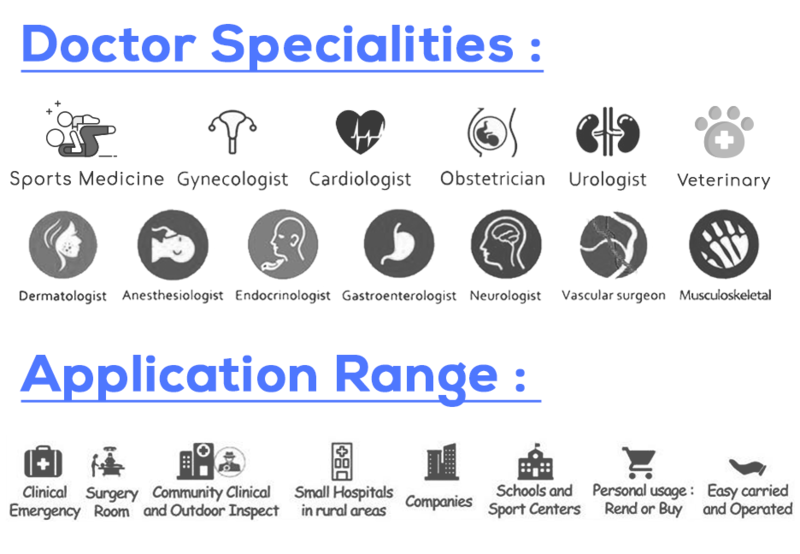 Special designed full touch UI for each individual application and easy to operation without special training. 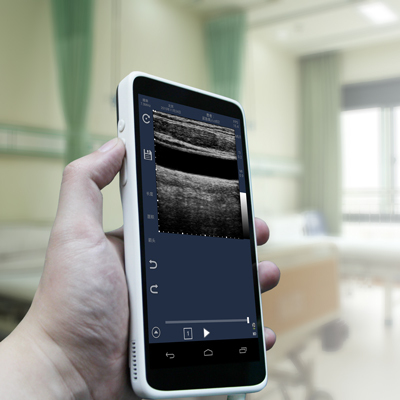 Automatically syncing data to private cloud for telemedicine and mobile telemedicine. Android sw operation system to make the applications easy for extendable. Enables ultrasound whenever and wherever necessary. CPU: 1.2GHz Quad-core Cotex A9. Display: 6.0 inch with 720*1280 resolution. Memory: 1/2GB LPDDR2 + 8/16/32GB Flash. Connectivity: BT 3.0 EDR, WiFi & WAPI, GPS&AGPS. Interface: Micro USB 2.0 HS (w/ charging), 3.5mm audio jack. Sensor: Accelerometer, P/L sensor, E-compass, Gyroscope. Keypad: Power, Freeze and Gain +/-. 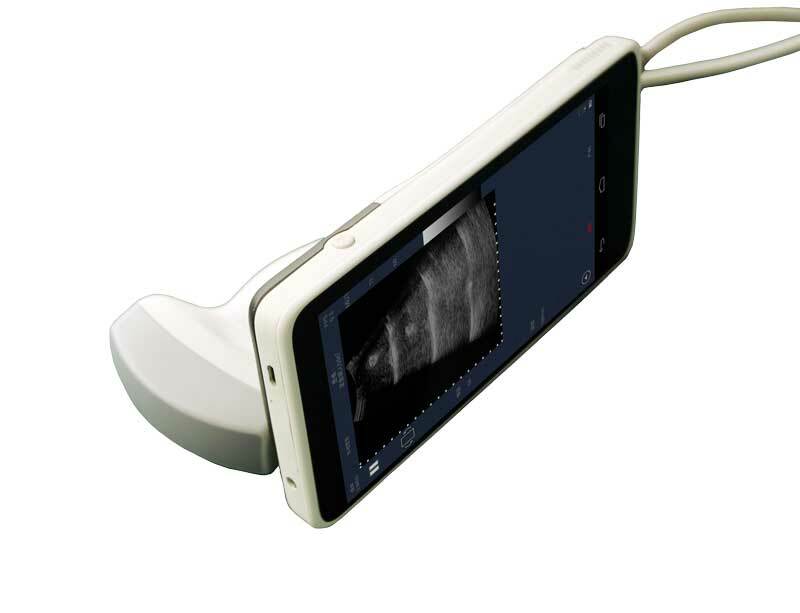 Battery: 5000mAh, up to 3 hours ultrasound continuous scans.